Chinese stocks reported considerable gains in morning trade on Monday, thanks to the announcement of a bold and wide-ranging plan to reform the country's economy. The blueprint for the country's economic and social reforms over the next decade suggests that the government would open the financial sector, relax investment norms in many closed sectors, let prices of natural resources to mirror market demand. The plan also suggests that more money would be put in the pockets of rural population. Haibin Zhu, chief economist for China at JPMorgan, said, "The full-version report addressed many uncertainties and questions ... and the comprehensiveness and depth of reform measures exceeded market expectations." 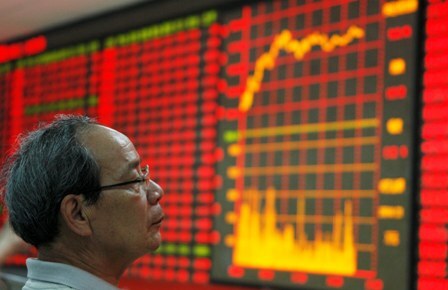 Investors cheered the ambitious economic and social reforms plan, pushing shares up. While China's CSI300 index of leading Shanghai & Shenzhen A-share listings gained 1.25 per cent from the previous close, the Shanghai Composite jumped 1.1 per cent. Mainland China's Hong-Kong index jumped more than 3 per cent from the Friday's close to hit its six-month high. Citic Securities, the country's biggest brokerage by market value, gained 8.8 per cent in Hong Kong; while the second-largest brokerage, Haitong Securities Co., climbed 7.5 per cent to hit a two-month high.